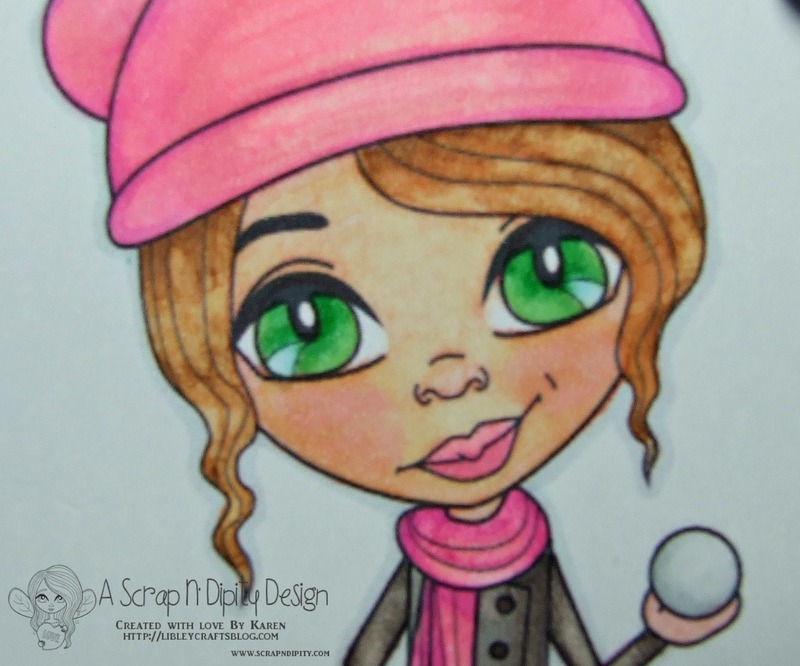 The image for this month is Tanya – Snowball Fighter which is available in store now or you can get for FREE from 15th January through to 30th January if you join the event through the Facebook Community on the Scrap n ‘ Dipity site. Remember though, you do have until February 14th to link up your project 🙂 Winners are chosen at random and there will be a 1st, 2nd and 3rd place. These will be announced on the following day. Each winner will get a free digital stamp from the shop! For my card I used the following supplies: Patterned papers and brads by My Mind’s Eye – Collectable range, WRMK Corner Chomper, Sizzix Scalloped Border Die, Spellbinders Doily Die, Craftwork Cards die-cut sentiments, ribbon and Spectrum Noirs to colour. I am entering this card in the following challenge: Crafty Girlz Challenges – Anything Goes. Fantastic card, Karen! I like her in pink! Congratulations Karen! Great card – fun image!